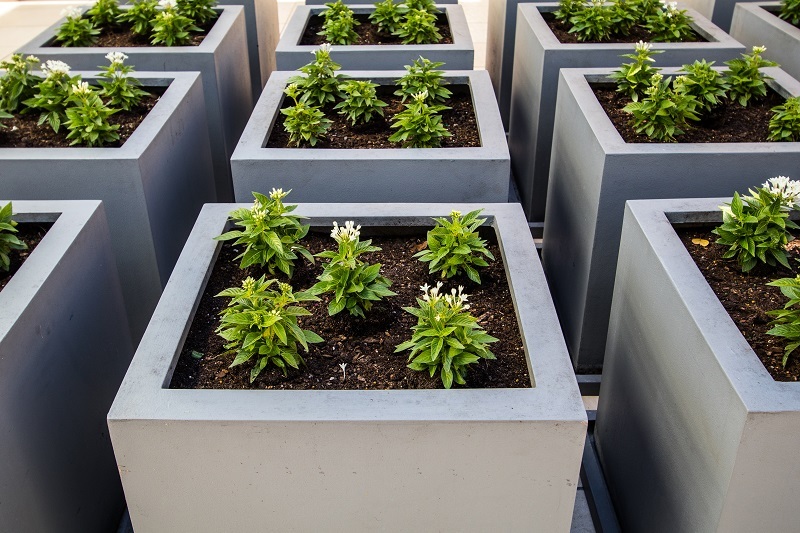 In this modern technological age, container based gardening is the latest addition. It is a great way to nurture a garden even when the space available is small. Irrespective of the location, container base gardening can be done using planter boxes and containers. Planter boxes are containers which can be placed indoors or outdoors in order to display and grow plants and flowers. These box-shaped containers can also be used for growing herbs and plants even in spaces where gardening space is not available. They are widely used as smart components in landscape designing or for window gardening as well.These trendy gardening additions can be done right by your own self. Planter boxes offer better advantages as compared to the conventional methods of growing plants on the ground. Planter box gardening offer raised bed or framework for the plant. Hence they can better regulate the nutrients and water from the soil.These boxes also provide ease of mobility as they can be carried easily without any damage made to the plants. These planter boxes serve as excellent home décor items as they are equipped and adorned with innovative and stylish brackets.Just hang them over the walls or support them near the windows of the house and boost the aesthetic appeal of the house. All these advantages are unique to planter box only and not in traditional gardening techniques. How to Use the Planter Boxes? Checking the box at first to see if they have provided a minimum of two to three holes for the adequate drainage system is necessary. If they have not provided, then the holes can be made easily.Just drill out ¼ inches area using a good drill machine and drill bits. Deciding on the location of the box is the second step. The placement must be made insuch a way that they receive the optimal sunlight ( a minimum of 5 hours).It is generally recommended to keep these planter boxes over a layer of brick so as to provide good support at the base. Next you need to prepare the soil. For this make an equal mixture of potting mix, sand, clay, loam and other organic compost.Add them into the planter boxes until they are sufficiently full. Planting the plants in the soil comes next in the list. As per the requirements and specifications about the right planting depth you must plant the seeds or the plant. Watering the soil is needed to be done next till water goes out from the bottom homes of the planter box. For adding protection, fertilizers and pesticides can also be applied at intervals of two weeks’ time. The amount to be added can be read from the label of the plant. 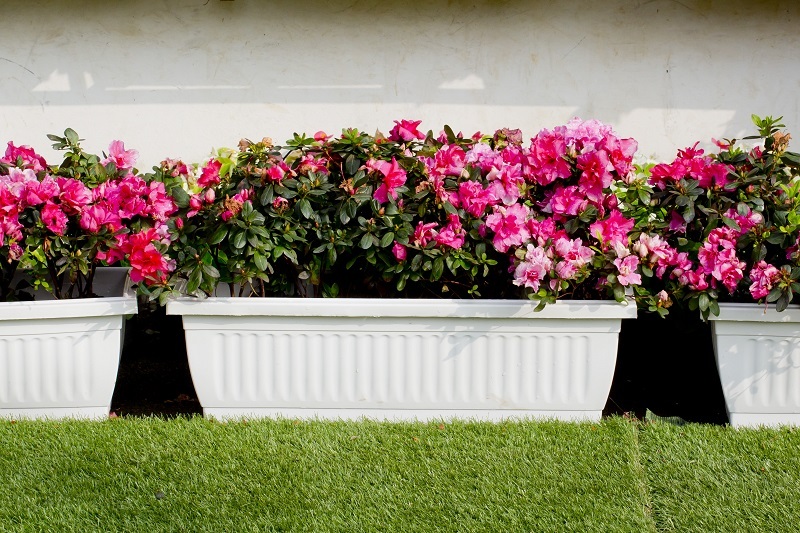 The right addition and choice of planter box is needed for the best growth of plants. Adequate care must be hence taken when selecting planter boxes. The planter boxes come with a wide range of customizations and hence you can plan your requirements. From very modest boxes to even massive architectural and landscaping needs can be fulfilled with precision planning. You can a lot of information about planting techniques and guidance using planter boxes on the web and publications as well.